One choice will define you. What if your whole world was a lie? What if a single revelation-like a single choice-changed everything? What if love and loyalty made you do things you never expected? 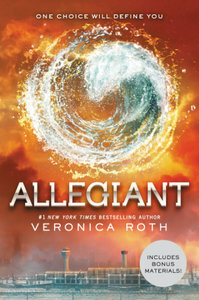 Told from a riveting dual perspective, this third installment in the series follows Tris and Tobias as they battle to comprehend the complexities of human nature-and their selves-while facing impossible choices of courage, allegiance, sacrifice, and love. And don't miss Veronica Roth's thrilling novel Carve the Mark.